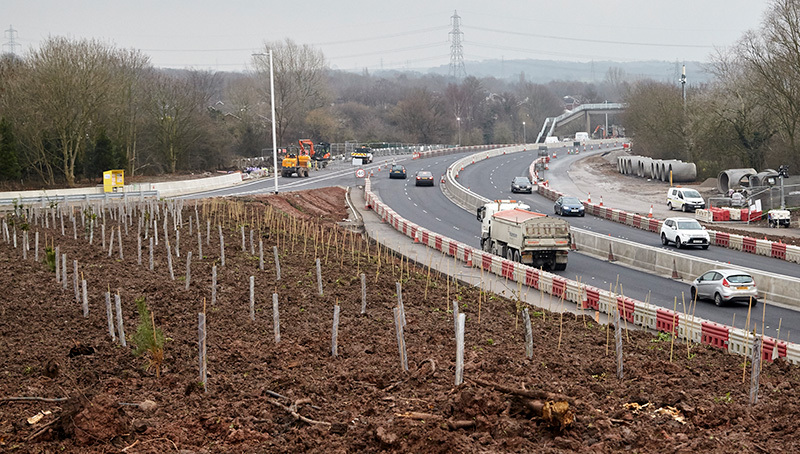 The extensive replanting will see nearly 58,000 new trees and almost 110,000 new shrubs planted across the Halton Borough Council area as part of the Mersey Gateway landscaping scheme. Native and evergreen trees and shrubs, including English Oaks, Silver Birch and Field Maple, will be planted alongside Scots Pine and Black Pine to ensure year-long greenery. Hugh O’Connor, General Manager of Merseylink, said the landscape reinstatement was a sign of Merseylink’s commitment to ensuring the project had a positive impact on the local environment. “From the start Merseylink has planned to restore and replant extensive areas around the project sites with trees, shrubs, wildflowers and grasses, to ensure local wildlife can thrive. We’re delighted to report this replanting work is now being delivered. Planting began this month and will continue until the planting season dictates. Environmental issues have been a key focus since the project was first developed. An independent charitable trust – the Mersey Gateway Environmental Trust (MGET) has been set up to promote the conservation, protection and improvement of the environment across a 1600-hectare area of the Upper Mersey Estuary running all the way from the Mersey Gateway Bridge up river as far as Warrington. The Trust is also aiming to create a new 28.5-hectare nature reserve around the bridge. Cllr Rob Polhill, Leader of Halton Borough Council, said: “The replanting of many thousands of trees across the borough is a significant step for the project. “Preserving and improving the environment is a strong aim of the Mersey Gateway Project and it is fantastic that we are now beginning to see landscaping taking place across the borough.